That title says it all. 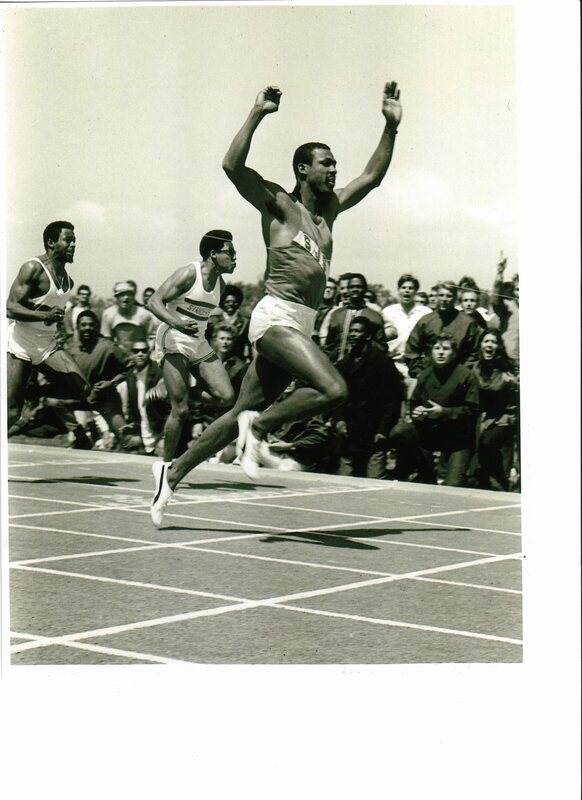 San Jose State was the place to be in the 60's & 70's if you were talking about the fastest men in the world. 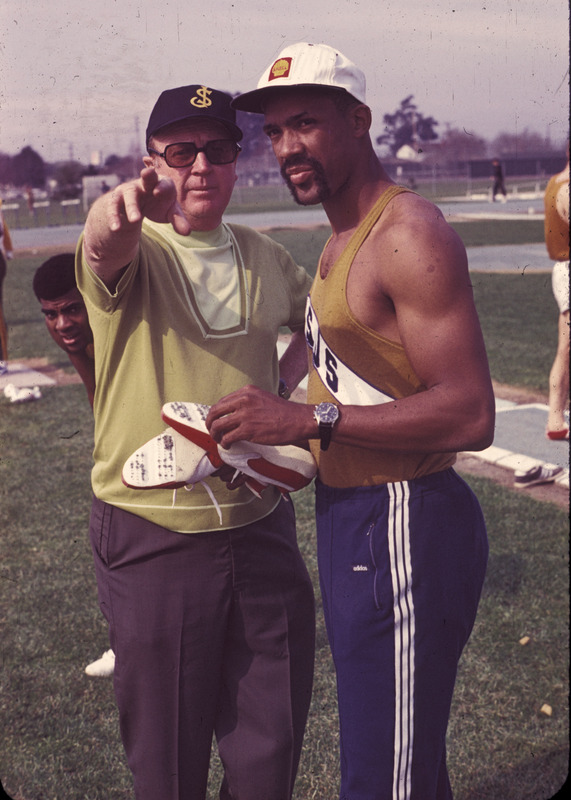 In fact, SJSC (San Jose State College) set over 30 World Records in Track & Field during Lloyd "Bud" Winter's reign. 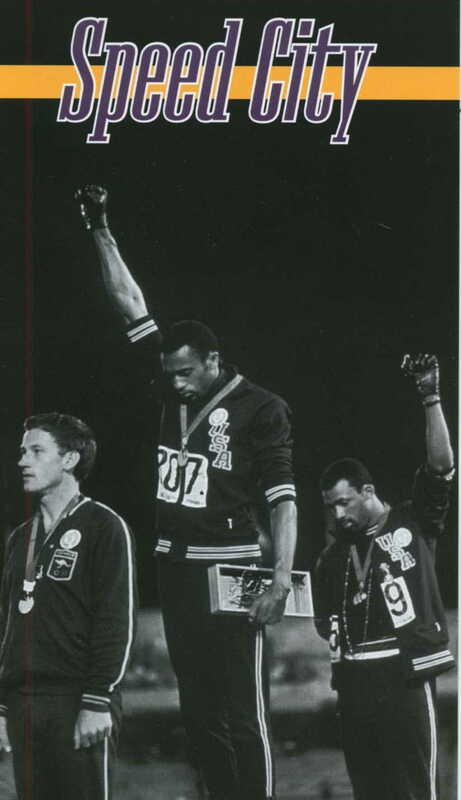 Although SJSC had numerous well known Olympians - Lee Evans, John Powell, Bruce Jenner - it was Tommie Smith and John Carlos that everyone remembers for their 'Black Power Salute' at the 1968 Olympics. 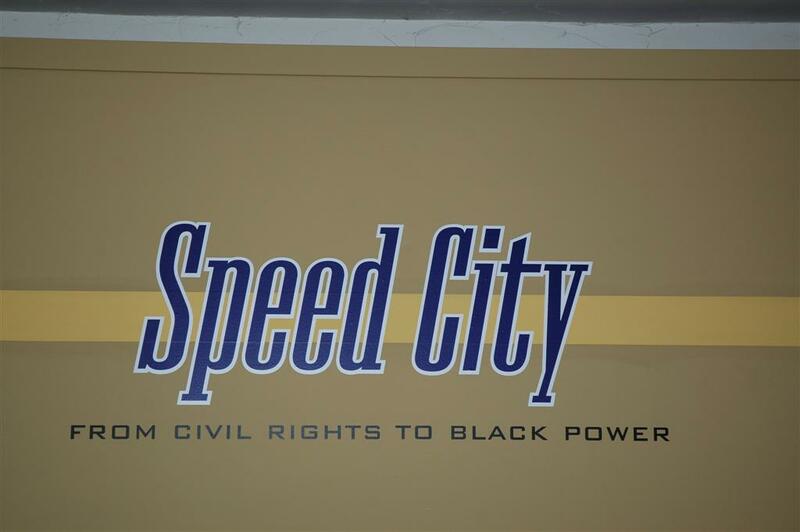 The History of San Jose is presenting, "Speed City: From Civil Rights to Black Power" at the Pacific Hotel in Kelley Park. 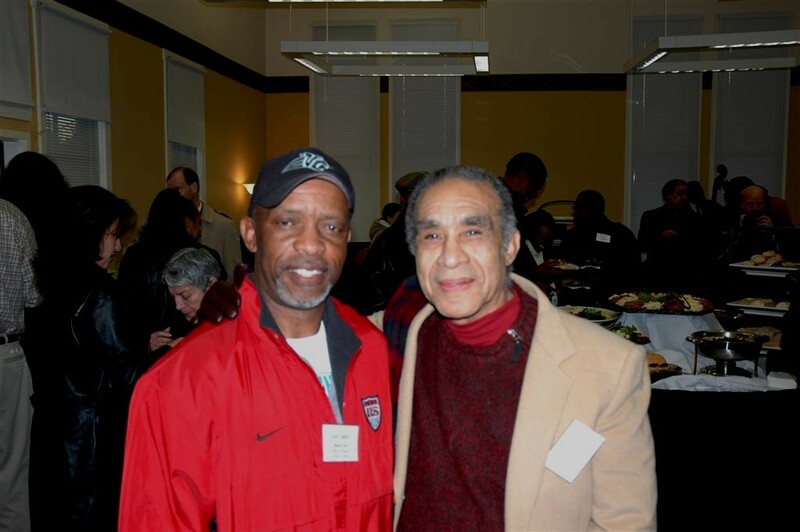 On Thusday night (1/11) there was an Opening Reception where alot of the athletes from San Jose's past were in attendance. Having grown up hearing about all these stars, it was a real treat to hear stories of the 'hey day' and to meet them in person. Below is a quick then-and-now pictorial of some of the athletes. 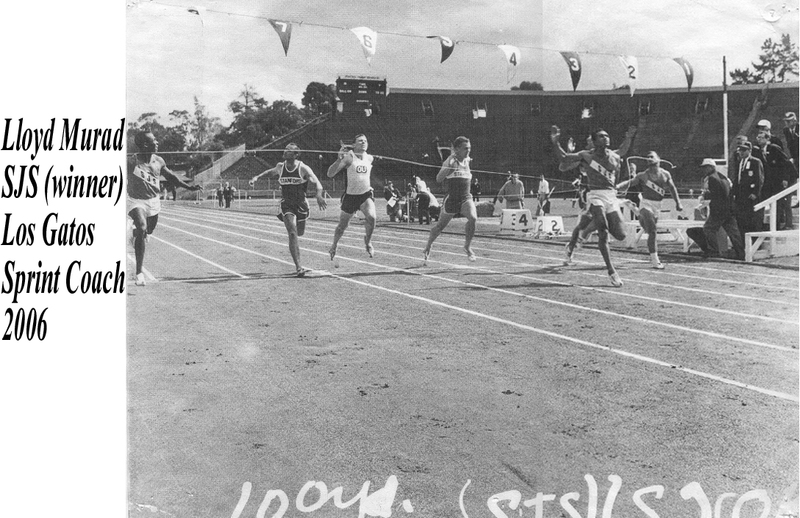 Frank Slaton as part of the '68 squad (love the spikes) and Lloyd Murad winning the 100 in a meet at Stanford Stadium (all tracks were dirt back then). The two were re-united some 35+ years later. 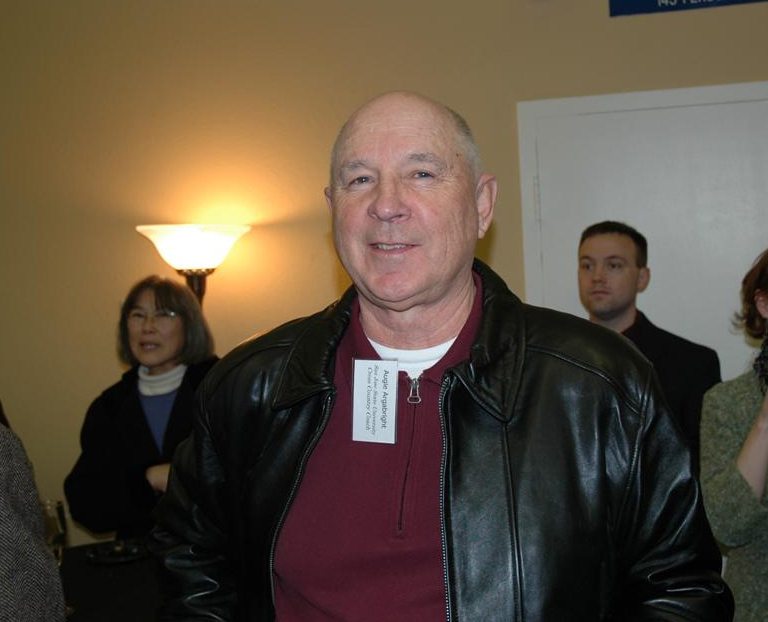 Frank still coaches at Evergreen HS. 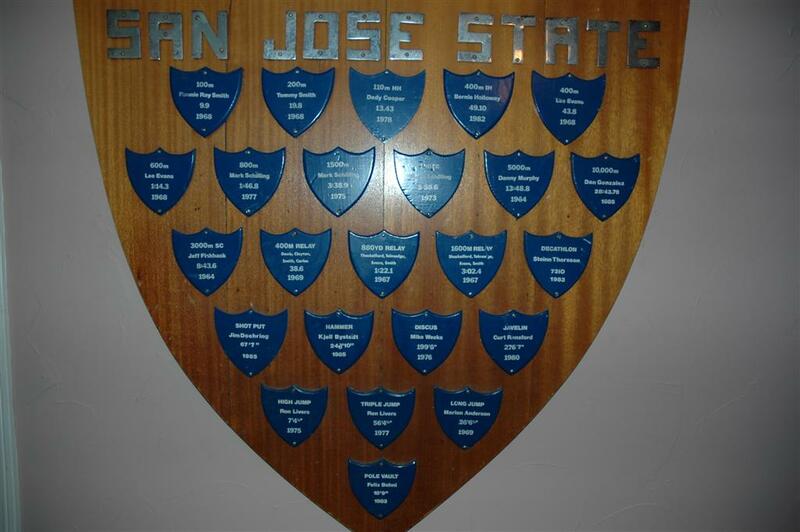 The San Jose State Schhol Record board was found and put on display, along with hurdles and blocks from the era, and it was fun to see that some 'locals' still hold Spartan Records. Jeff Fishback (Olympian in the Steeple) coached at Lynbrook HS for over 20 years and is now teaching at Cupertino (and is a Nationally ranked badminton player for his age group) and Danny Gonzales (the 'old' Mtn View HS) is still competing as a master runner (31:00 10k at 42) in the Portland area. 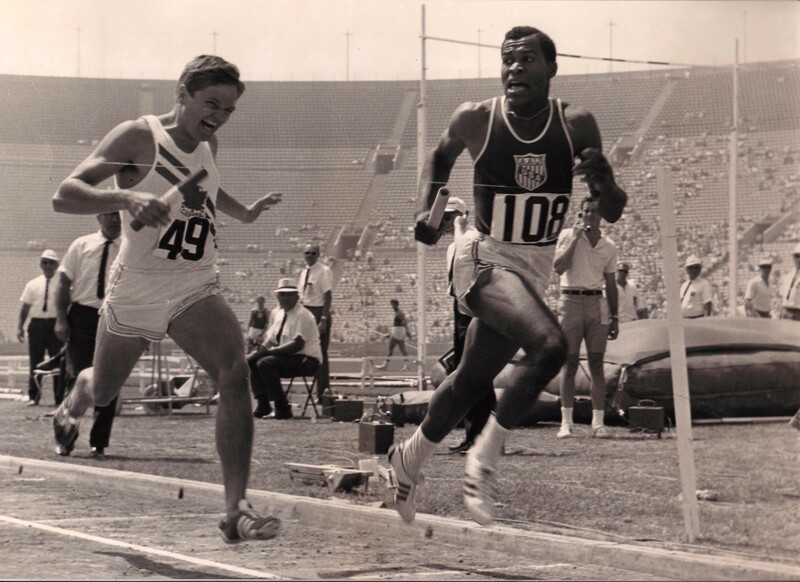 Lee Evans (440) who went to Overfelt HS and is an Olympic Gold medalist. Another great opportunity was meeting Augie Argabrite, the founder of the SJ Cindergals. The Cindergals was a club team back in the 60's and 70's that was founded for girls since there were no sports teams (running) at the high school level until 1975. Augie found and trained some of the Sections best runners through the Cindergals. He is currently the Head Mens and Womens Track Coach at San Jose State. If you get the chance, take a trip down to Kelley Park in San Jose and check out the lush history that San Jose State has. While there, stop by Bud Winter field, which is just a couple of blocks away, and take a couple of laps on the same field that America's fastest used to train on. All in all, it's a fantastic display that a tremendous amount of work went into. Thanks San Jose for keeping it alive!